When an Employment Visa has been refused, the letter, which the applicant receives indicates that the employment visa application was not approved as the Immigration Department were not satisfied that the person possessed special skills, knowledge or experience or value to and not readily available in Hong Kong and in all the circumstances of case the employer is justified engaging the services of an expatriate rather than the services of a local person and this leaves it very difficult to try and interpret exactly what might be wrong with a case and thereby putting together another set of information to have another run at the application by way of an appeals process called a case reconsideration. To successfully argue a case reconsideration, you basically need to have significant additional new information, which had weight to the original application or other relevant and important new facts which have come to light since the refusal with comprehensive verifying documentation supply then to support it. 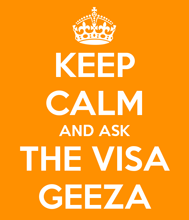 So that process in many ways is like another employment visa application. The officer will review it and then his colleagues will review it and then a determination from supervisory level staff and managerial staff will be laid down to ensure that in fact the original decision was the correct decision and that any new and previously unsubmitted information, which has been supplied doesn’t add the necessary weight to coarse the Immigration Department to switch from one decision to the decision of approval. That’s a process that usually plays itself out over the course of between two and sometimes twelve weeks. If the reconsideration is refused then really your options are starting to get a little bit limited in a practical sense. In your question you mentioned the issue of section 53 review of the immigration ordinance. This is a procedure that’s not very often used these days because whilst the review procedure is ongoing, the applicant is not allowed to be in Hong Kong as a visitor. So, because it can take between 6 and 12 months for a review process to be completely finalized most people who’ve been denied employment visas and haven’t been successful in reconsideration don’t get, don’t travel down that path because it simply just takes too long to be anything close to practical. Additionally, making an application for direct intervention of the chief executive is an appeal maneuver that is not recommended in the average sort of run-of-the-mill case as it were and because you haven’t provided any information as to what the nature of the case is or allowed us to understand a little bit more about how we might be able to make this advice more tailored to you. It would seem unlikely given the volume of instances that we have made an application for the intervention of the chief executive but in your instance, it may probably not be a relevant or indeed an appropriate channel or path to follow. So, in many ways, even direct intervention requests of the year – for executive isn’t a particularly practical solution to your dilemma. As I say only in the case where this is a significant matter of public interest involved would you want to follow that route. So, those are the array of the options you’ve got available to you. Your first point of cause without doubt reconsideration and then if you refused on the reconsideration and it’s becoming really apparent to you that they are making the wrong decision you could potentially submit another reconsideration with again further new and previously unsubmitted information that would allow the Immigration Department to take another look at it but in a very practical sense by the time that process is played itself out, its arguable that you don’t really have anywhere else to go and the appeals process is not going to work for you unless of course you genuinely believe that your employment is a matter of growing public interest so that the Immigration Department should be redirected by the chief executive to have a better and closer look at it but it would seem to be unusual. Okay, many thanks, hope that helps. Bye.